Each of us has a God-given purpose that brings satisfaction, enjoyment, and meaning to the stage of our life’s journey that we are currently traveling. Do you know what yours is? The way to realize your dreams, goals, and aspirations, thus fulfilling your life’s purpose, is not to treat work and life as two separate entities, leaving one to become engaged in the other. Rather, it is recognizing and pursuing who you are and what you were created to be. Take a look at your strengths, your unique talents and personality, what you long for at this stage of your life. 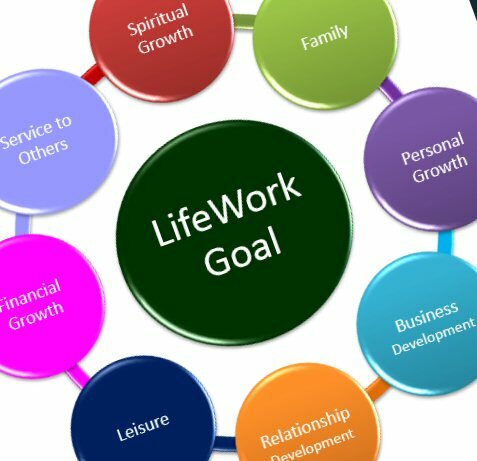 These are the pointers for you to become successful in the pursuit of your LifeWork. 1. Review the achievements you have had in your life so far. 2. Discover and articulate your strengths. 3. Identify your motivation style. 4. Identify your Purpose, your dreams, goals, and aspirations. 5. Recognize the variety of roles you fill and how they each interact with your Purpose. 6. Develop routines that will bring you success in achieving your dreams, goals, and aspirations. 7. Consider your Crash Points and develop counter measures to ensure your success. Each of us has a God-given purpose that brings satisfaction, enjoyment and meaning in the stage of our life’s journey that we are currently traveling. Do you know what yours is? Is your culture aligned with your purpose? Does every one of your staff/employees know, and is able to articulate your organizational purpose? Does your organizational branding speak to how you are differently unique to your competitors? Are you serving the community around you?